The Bar Method Fresno is a boutique fitness studio offering barre classes for students of all levels. The signature method uses your own body weight, the ballet barre and a few props to create a transformative workout that results in long, lean sculpted muscles. Not only does it reshape your entire body, but it allows you to channel your inner strength and leave class feeling strong, confident and poised. Highly-trained instructors customize the exercises to ensure they are safe and effective for any age and every body, including modifications for pregnant women and students with injuries. Our staff and community are here to support you from the moment you walk through the door. The Bar Method Fresno opened as the first Central Valley Bar Method studio. Our clients enjoy a sense of community in a plush and spa-like environment. The entire staff aims to make every client that walks through the door feel welcomed, informed and valued. When you leave the studio after a workout, you will feel prepared, energized and ready to face the day. Escape to The Bar Method Fresno today! Jennifer Hoekstra had a career change at age 50 after being a practicing labor and delivery nurse for over 20 years. Jennifer worked out at the gym, did some personal training and likes to admit she was "addicted" to the FIRM videos after her pregnancies. She found The Bar Method workout in 2010 after some online research. She wanted to find a workout she could sustain, yet was challenging enough that she could do it with her 20 year old daughters. Once hooked she knew she couldn’t live without the workout and this drove her to open her first studio in her hometown of Fresno. If you cannot attend class, cancel your class online, on The Bar Method app, or call the studio to avoid being charged for a no-show. Early morning classes (6:00, 6:30, and 7:00 AM) request cancellation 12 hours in advance. All classes that begin after 7 AM require cancellation 1 hour in advance. Please wear exercise pants that cover the knees (or wear compression/bike shorts under above-knee shorts), a top that mostly cover the midriff, and socks that cover the entire foot. Childcare schedule in online and on the app for a variety of times. Purchases can be made online and in studio. 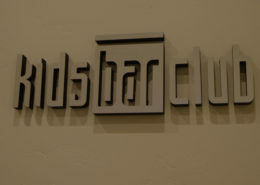 Club Bar members are allowed to freeze their memberships for an initial $10 fee and then $1 everyday thereafter up to 3 months to keep your discounted club bar rate. Two 6 week freezes are allowed per year unless medically indicated.